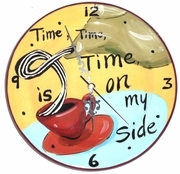 Time to have another cup of coffee cause time is on your side! 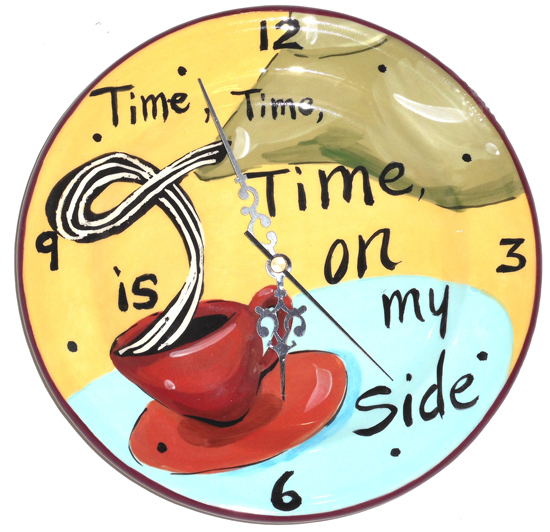 Whimsical clock to set YOUR time by. Allow 4-6 weeks delivery.